Handmade Detroit | Handmade Detroit Holiday Market continues today! 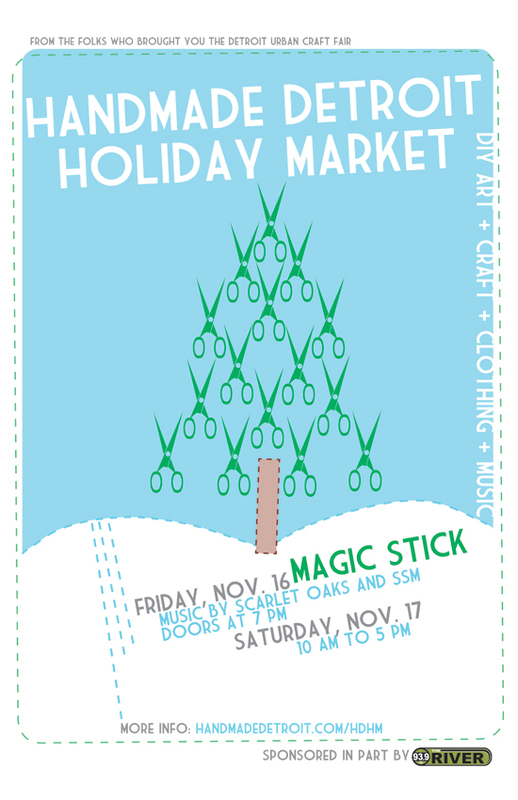 Handmade Detroit Holiday Market continues today! Thanks to everyone who came out last night, and especially to Scarlet Oaks and SSM for rockin’ it. We had so much fun! There are some really wonderful goods and artists at this show — dare I say, our best collection yet. Did you miss it? No worries. The Handmade Detroit Holiday Market continues today from 10 a.m. to 5 p.m. We’re suggesting a $1 admission donation,* but don’t let that keep you from stopping by — it’s not a requirement to see and shop some of the best DIY makers in Detroit, just in time for the holidays. * To help continue to produce DIY events in our city.